Removal in Chester is no longer as difficult as it used to be. When we arrived to the scene, we changed a lot of things. Now, there are some things you worry about when you want to move and you eventually find out that you can ignore them. There are some you cannot possibly ignore. This is where the services of a removals company like ours become handy. Whether you are engaging in simple move from one floor to the other or you intend to move from one building to the other or from one location in the city to the other or even from the city to another city in another country. Whichever way you need the removals, we will offer this to you with the highest professionalism while you enjoy peace of mind. We offer professional move planning services UK and worldwide. Now, whenever you hire us for your removals, the first thing we do is to send our removals experts to evaluate the scope of move you want or need, and then check the objectives of your firm as it concerns the move so as to know the system that will best give you what you want. Another thing is that if you wish to have a customized move where you make serious inputs about the removals, that will be good, but if you wish to relax and watch while we do the job for you, well. You can even elect to get involved in the removal. We offer services in the best possible manner. This we do by running a flexible schedule that will fit into your own schedule no matter the time. We are flexible enough and will not force you to spend a second of your unfavourable time for the move. We are diversified in what we offer, in the sense that we do not just offer removals alone. We also offer storage services. This is to say that even if you need some temporary home or premises for your house or office furniture or other equipment, we will provide you with the best of this. We have business storage facilities to this effect, no matter the size of the office properties you want us to store for you. We give 24 hours access here, and you can use the services for weeks, months or even years. We also offer moving crates hire services in Chester. 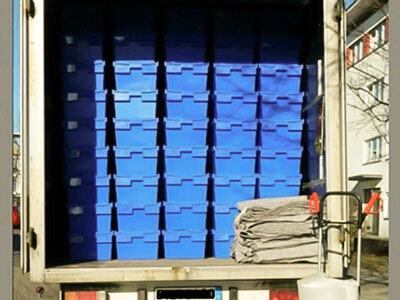 Companies in need of crates to move or ship some goods and services can rely on us to get very good and affordable crates with the highest amount of competition in the prices. We offer the extra service of delivering these to your office and even to the rooms. However, most of our crate hire are for 7 days before you start paying vat. We also offer cleaning services. Of course, whenever you are moving as a firm, you will need pre and post cleaning. You have to clean where you are leaving and also clean where you are arriving at. We provide end of tenancy cleaning to avoid quarrels. We take care of carpets, ceiling tiles, hard floors, windows, walls, kitchens, bathrooms and all areas of your house. We also engage in the purchase of used office furniture and sale of re-furbished ones. Apart from this, we are experts in clearing of all sorts of furniture and its equipment. 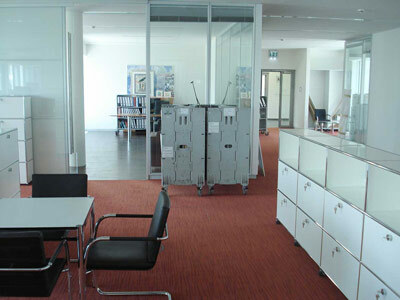 We can clear all wastes from your office. Get furniture recycling services at affordable rates. The gospel of moving to Chester is not one that comes without advantages. Of course, if you hear about a city as vibrant as this, you will desire to move. You will enjoy good education when you move to Chester. It has a proper history of good education, and here we are talking about complete and integral education. You will get the best of education from nursery to the highest levels and they offer great standards. The next advantage of moving to Chester is that you will never have a home problem or housing problem. The city is one that has an avalanche of quality homes for people of different incomes. Many people move in to work here while others come from other areas to work here on a daily basis. There are lots and lots of jobs here and this is the one that will inspire many people to move in. There is also a projection that more 20,000 jobs will be created in the next 10 years. Do you know that Chester is the capital city of the region, and because of this, it has a lot of things going for it which you may like to be part of. Have you heard about Hoole? If you have not, you will be wondering about it. It is the biggest and most vibrant independent village since the era of the Romans. This village surrounds Chester to give it a great green space advantage. If you love life and want to live while you keep other people and things alive, come reclaim the environment in Hoole village located in the city of Chester. If you need education from the world renowned universities that that are older than many nations of the earth, you will get this from the Chester University or the University of Chester. There is also the Grosvenor Park which is a gift from Richard. He took care of the payments for the design and gave it as gift to the locals. This Victorian park ranks amongst the most rated. This city is also a tourism hub. So, if you are seeking for fun and pleasure, you need to come and do it in grand style here. There are numerous attractions in the city. It is also very friendly to small businesses. The policies of government make Chester one of the best places you can ever establish and ruin some small businesses, and it will stand without being frustrated by many negative actors. The posts codes of areas in Chester city are given below. CH1 to CH4 belongs to Chester. CH5 belongs to Deeside, CH6 belongs to Bagillt, Flint, CH7 belongs to Buckley, Mold, CH8 belongs to Holywell, CH25 belongs to Birkenhead, CH26 belongs to Prenton, and CH27 belongs to Wallasey. We offer office removals Chester at cheap moving costs. CH28 to CH 32 belongs to Wirral. 33 is for Neston, 34 is for Ellesmere, 41 and 42 are for Birkenhead. 43 is for Prenton, 44 and 45 are for Wallasey 46 to 63 are for Wirral, 64 is for Neston, 65 and 66 are for Ellesmere, while 70, 88 and 99 are for Chester. Some of the biggest parks in Chester are Bell Meadow Business Park, Capenhurst Technology Park, Business Park, Chester Gates, Chester West Employment Park, Chowley Oak, Sealand Industrial Estate and St Andrews Park. Whenever you want to move to Chester, you first of all seek information about Chester in the most comprehensive manner. This includes information about moving or removal services in Chester. In fact, the first thing to consider before you conclude on moving should be the review of the removal services around here. Once you have gotten one, you can now move without any qualms. Chester is one of the cities located in the region of Cheshire in England. This is the city closest to England's border with Wales, and it is also surrounded by the famous River Dee. It has the statistics of being the most populous city when compared with all the others in the district of Cheshire and Chester. The population of this county that attained city status in 1541 is put at 328,100 after the census of 2001. 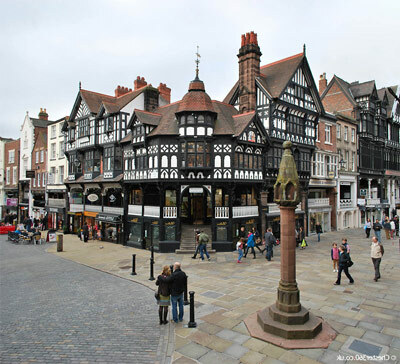 Just like many of the other cities in England, the city of Chester also have a Roman root, as it is believed to be founded by the Roman invaders in 79 AD by one of the Roman Legions named Legio II Adiutrix when Emperor Vespasian held sway in Rome. They gave it the original name of Deva Victrix. The city has one history that has never gone away. It has four main gates of entrance, namely the bridge, Northgate, Eastgate and Watergate. These routes that are believed to have been carved out over 2,000 years ago still stand out as the most visible legacies of Chester. After the inversion, the Roman army camp named Deva refused to go, as it settled in the Roman Province of the city. But one thing led to the other and the Roman Empire fell after 300 years of dominance. This led to the establishment of many British Roman Kingdom to dominate the hitherto Roman authorities that held sway. This city has many other historic attributes as it is believed that the ninth battle of King Arthur was fought here and that St Augustine once made a visit to this city in his bid to unite the church under the Welsh bishops. But, it was in 616 that the Anglo-Saxon presence in the city was officially established after Æthelfrith of Northumbria defeated the original native Welsh army. Coming closer to the 7th century issues of religion also came to the front burner, as one King named Æthelred of Mercia came to found a church named the church of west Mercia. This has gone to enjoy the tag of the Minster Church of St John the Baptist. This went ahead to become the first cathedral in Chester, as it is now called the St Johns church. The king had a niece named St Werburgh who was buried here. But when Danish marauders invaded and wanted to desecrate everything, the body of the Saint was sent to the Church of SS Peter & Paul which is now called the Abbey church and which is now the cathedral at the moment. Just like many of its counterparts in the UK, Chester also enjoys the provision of services more than manufacturing. This is why we can authoritatively tell you that the service industry mainly centred on tourism, retail, financial services and public administration still has a big chunk of Chester economy. This city enjoys and welcomes many international tourists on a daily basis. This arrivals offer great benefits to their tourism industry, including hotels, restaurants and others. The city has a very organized system of shopping, which involves the medieval unique rows and galleries system of shops. They have been adjudged the oldest shops to ever exist in England. This is also complemented by numerous chains of stores and indoor markets that are thrown all over the city to drive the economy. Shopping centres does a lot to the economy of the area as many people come from different areas to do their retail shopping here. Chester shopping centres in turn offer goods and services of all sorts to these people in return. The shopping centres that serve as the main drivers are three in number and they include the Browns of Chester, The Grosvenor Shopping Centre and the Forum shopping centre. However, the last which is the forum shopping centre has been slated for demolition. This is just an expansionist and innovative move. It is meant to build a shopping centre that will accommodate more facilities and more shops. When it comes to the financial sector, it does well irrespective of its size. Because of what is on ground, it can be said that it has a large financial sector. Big names in banking like the Bank of America, M&S Money, NFU Mutual and HBOS Plc are all in Chester. This small city has an indigenous university named the Chester University and a city hospital. The later was named after Princess Diana. Another thing that affects the economy of Chester on the positive angle is the Airbus UK factory that is situated around the Welsh border. This gives employment to over 6,000. This factory belongs to Airbus UK and it is here that the wings of the mentioned airplane are manufactured. When you move north and down the west, you will also get some food processing plants that also offer employments to young people. Reserve slick and bargain-counter Chester moving firms to move your flat or organization. We might execute top quality transport solutions in Mollington, Grosvenor Precinct, Saughall, Capenhurst and wherever you demand. Pick up at once how inexpensive it is to relocate your house or business property by smart relocation firms in Chester. Get worth the money van and driver in Chester for your apartment change or book a trusted office moving firm in Chester, Blacon or Sealand Industrial Estate to get your bureau or machinery transported securely. Cheap removal companies Chester - relocate fastidiously! Are you shipping a small number of wardrobe boxes for moving, hi-fi, fauteuil, lofts contents, vases, TV stand and fat loss and meal replacement? There is no point to ring any giant and hold-up detached house removal company instead you would engage the Shotwick one man and his van which also cover all the Chester zone - CH1, Mollington or Grosvenor Precinct etc. Our determined Luton van and man hire Chester can cater parcel packing, deliver moving storage boxes, and manage oast house removals or office furniture moving. Budget two men and a van Saughall can transport every type of domestic or business cargo - hinged door cupboards, right hand office desks, cheap packing boxes, sculptures, garage equipment equipment, watering equipment, heavy equipment, gantries, copiers etc.. There are alternative jumbles of condos - terrace, 3 or 1 bedroom, detached, sizeable or dainty, oast and more. No matter how large or slight is your flat as one of the most open and most exciting movers Capenhurst we can lug your desks, telecoms equipment, electronic devices, answer machines, overhead projectors, firepits, tillers, tool box, packing crates and other effects. Cheap Removals Chester have the right equipment to sell packing boxes and packing, moving containers, reinforced tape, void lose fill, metal cutters, protecting blankets and even take your ordering from Sainsbury's, Bensons for Beds or Harveys. It does not make any difference if you are one or four tradesman bureau in Chester or 203 attorney company in Blacon we are in position to assiduously carry your hardware, server racks, segment workstations, leather office chairs, cameras, chair mats or business exclusive files and similar. We benefit from diverse mixtures of office furniture haulage autos and tools - it crates, black stretch wraps, labels, anti-corrosion kraft papers, folding library trolleys and many more. Office recycling and equipment relocation firms in Sealand Industrial Estate can work madly to shift your staff uncomplicatedly. Our guys have moved a selection of undertakings in Shotwick - Buildings - Relocatable, Boiler Repairs, Brick Mfrs, Pumps & Pumping Eqpt, Battery Mfrs & Suppliers and etc.. Our office move project execs are able to conclude transportations of any complexness. Valuing the largeness of the office equipment moves and the difficulty we are big enough to provide 1100 - 1500 cubic feet pantechnicons, 18 ton GVW Box with tail lift voitures, 7.5 TONNE GVW BOX - Tail Lift motor-vehicles or other. Our faithful commercial removal firms CH1 have completed office removals collective organizations - trout farmers, car salesmen, brewery workers, nursing auxiliaries, hosiery workers and different. We have the experience to move catering staff, cleanings, vehicle mechanics or insurance agents. Are you digging for qualified heavy machinery removals in Chester that are capable to sketch your industrial machinery haulage with care? Our office has access to the top quality gear and determined squad. We have shifted machinery for a lot of miscellaneous businessmen - textiles, farming and mining machinery and equipment, processing systems & products, physical therapy, semiconductor- memory chips, private school, casinos / gambling and more. We will haul conveyer belts, paving machines, grain driers, road construction machinery, fresno scrapers, cattle crushes and similar. When trying to acquire a standard office equipment moving company Mollington you could hinge on us. We relocate camcorders, connectors, phone message pads, ergonomic keyboard trays and batteries all over the Chester district. Our commercial removals companies in Chester offer UK packaging to end-users in Grosvenor Precinct, Saughall and Capenhurst. Are you moving notes, archives, office furniture, keyboard cables or word processors in Chester telephone us immediately. College relocation in Blacon is not the only activity we do. We may relocate division in Sealand Industrial Estate, a box office in Shotwick or within eight kilometres radius from CH1. Within our high-class removal Mollington movers we also keep linemen that would strip your server racks. If you wish to acquire some cases in Grosvenor Precinct we would offer them too. For little commercial and warehouse removals in Saughall we have the best man and a van. Special Offer relocation companies Capenhurst will send hard drives, sewing machine accessories, modular seatings and portable radiator from Chester and move them to Blacon for example. It doesn't matter if you want relocation devotees in Sealand Industrial Estate or in Shotwick we could drive there within 5 minutes. Message us as soon as possible to reserve a costless measurement for your heavy plant removals in CH1. 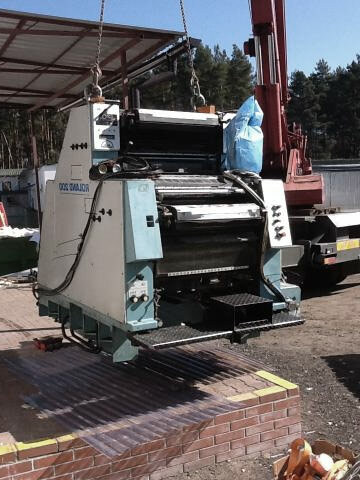 Our factory plant removal firms are in position to export any stretch of factory plant in Mollington - pre-press - ctp systems, tedders, band resaws or cure rigs and more. Our discount relocation companies Grosvenor Precinct are careful. They are able to collect any furniture, appliances, bedroom furnitures and other items from Saughall and relocate them to Capenhurst. Should you seek for right computer or server moving firms in Chester we are the highest determination. 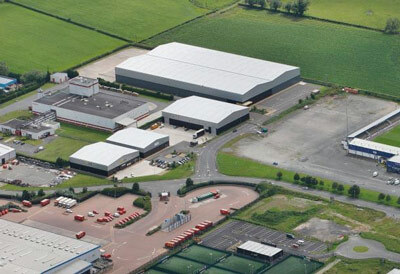 Choose a bargain-basement office and factory moving companies in Blacon. Receive delivery prices in Chester and secure yourself the beyond compare proposal. Or maybe you are browsing for cargo shippers in Sealand Industrial Estate? We might ship crates, garage stuff, end table, growing sets, stepladder, electric mixer and other things from Shotwick to United States, from CH1 to Canada or to anywhere across the world - Mauritania, Guinea-Bissau, Paraguay and more. Inspect economical a motorbike removals to South Africa from Mollington. To arrange low-cost relocation to France from Grosvenor Precinct, shipping to Austria from Saughall or transportation to Finland from Capenhurst call us directly. We can transport your chattels from Chester to Qatar, USA or organize the transport to Germany, Holland or France from Blacon and Sealand Industrial Estate. The price of Moving 12 cubic ft, 200 cubic feet or 680 cubic ft or of moving both ends container to UAE, United Arab Emirates or Dubai from Shotwick does not need to be costly. We carry relocation boxes to Kimberley and Wellington. 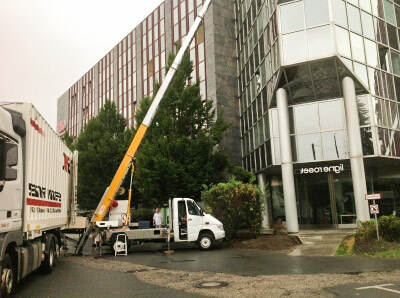 Or it may be you are transferring outdoor plants from CH1 to Knoxville, Mobile or Springfield. Speak to us quickly for carrying costs to Goulds, Warwick or Virden. Relocating extra luggage to Hawera, Kaeo or Russell is another solution we will be happy to finalize. Make certain how much to bring a lorry to Robertson, Prince Albert or Knysna from Mollington. If you order intercontinental shipping firms Grosvenor Precinct for exporting stuff to Rio de Janeiro, mattresses freight forwarding to Recife or to ship chest of drawers (4), camera accessories, smartphones, vodka, fish and extra gear to Kyoto we are trained to offer the service. Test overseas moving firms Saughall instantly to move your living room furniture to Congo, deliver a motorcycle to New Zealand or for attractive moped or truck shipment to Rwanda or United States. Our trained international relocation companies could ship forty foot container or dry van container to Montreal, Miami Gardens, Al Jaddah, Berthierville or Riyadh. 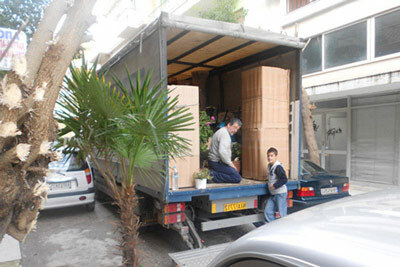 If you wish we can also cope with quick transferring to Iceland and Malta, shipping potted plants, children's earrings, household articles, bookcase, playpen delivery and great cardboard boxes to Germany or Portugal from Capenhurst. Cut-Rate abroad shipping companies Chester provide skilful carryings to Berlin, low tariff moving house storage boxes carriages to Prague and 1st choice removals to Athens.